One of the most prolific and hard-working men in comedy, Robin is the organiser of the amazing Nine Lessons and Carols For Godless People (featuring Brian Cox, Ben Goldacre, Richard Dawkins and Stewart Lee among others) and current co-presenter of The Infinite Monkey Cage on Radio 4. 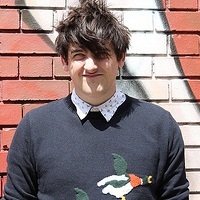 He does the Utter Shambles podcast with Josie Long and the famed Book Club comedy night, as well as thoughtful shows that let fascination with science and understanding fuel the humour. He has also appeared on the Stewart Lee curated “The Alternative Comedy Experience” (Comedy Central). Delightful Aussie Celia has made quite a name for herself in the UK, appearing on Russel Howard’s Good News, Show and Tell and The Rob Brydon show. Warm, charming and irresistibly funny, Celia has a talent for storytelling and bringing big laughs. ★★★★ (Scotsman), ★★★★ (Guardian), ★★★★ (Time Out), ★★★★ (Telegraph), ★★★★ (Chortle.co.uk). A Fosters Best Newcomer nominee 2012 for his debut Edinburgh show, full of props, insanity and pink paint. Surrealism, madness, jokes, rollerblades and all those good things. 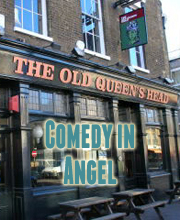 One of the best new comics to watch out for 2012 in The Sun Newspaper and in London is Funny. She’s also in that advert where she’s playing with a remote control. Great stuff. Regular host of Laugh Out London and an emerging versatile comic of charm, props and pasta. There maybe Caramac involved, there may not. His off-beat humor often uses silly drawing and games, which has lead him to be described as “slightly surreal” by a number of people.